Each year thousands flock to the beaches of Fort Lauderdale to celebrate the New Year in the near perfect climate of South Florida. Given the influx of people on the shores of the beaches and in the other attractions, Fort Lauderdale offers some exceptional ways to ring in the New Year. Here are some fun ways to usher in 2014. Above all, spend the New Year with family and friends, and have a joyous and prosperous 2014! The Great Gatsby Roaring ‘20’s Celebration: The Blue Martini located at 2432 East Sunrise Boulevard is throwing a ‘20’s themed New Years Eve celebration starting at 8pm. So don the tuxedos and flapper dresses, this is one event that is sure to be a throwback and a well attended event. Admission ranges from $15 to $400 and is age 21 and up. Further, designated drivers receive discounted admission. Pablo Francisco, Fort Lauderdale Improv. Comedian Pablo Francisco will be performing two shows at 7 pm and 10 pm at the Fort Lauderdale Improv located at 5700 Seminole Way, Hollywood. Tickets are $25 with a 2 drink minimum and it is age 21 and up. This an option that will set a good precedent for the year to come, one full of laughter and smiling. Francisco is world known for his impressions and high energy. Laugh your way to 2014! City of Fort Lauderdale Downtown Countdown: The City of Fort Lauderdale is having a family friendly New Years Eve complete with fireworks, live music, and family fames. It begins at 4:30pm and there is no cover and all ages are welcome. It is located at SW Second Street and SW Fifth Avenue. 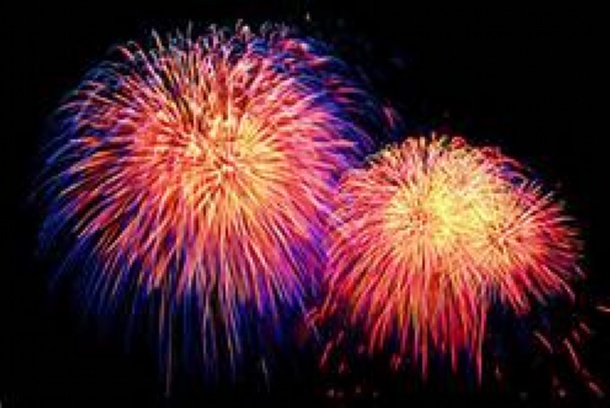 If you are boating, there are plenty opportunities to view fireworks from the Intracoastal or rooftop lounges. Happy New Year! The housing market in 2013 has been bustling with limited inventory and consistent price increases throughout the market in Fort Lauderdale. Many of the sellers I work with have remodeled or updated their homes and these updates make a marked difference in the selling time and process. If you are looking to remodel your home in order to sell, or if you have bought a home that requires updates, it may be a daunting task to undertake. There are some simple and effective steps that will help your renovations run smoothly and provide inspiration for your project and they are resolutions offered below. Happy New Year, Happy New Home! 1. Planning Makes Perfect: You must have a plan. You may start on January 1 and resolve to completely remodel in a year, and become burned out by February. The key to success here is to make a list of your projects, create a realistic time table, and determine whether you need a designer or not. 2. One Room at a Time: Deciding what to do in each room with or without a designer can be stressful, so it is best to break up the work, one room at a time. If you are unable to visualize the room completed or are uncertain of the possibilities, visit a design center to get inspired or look on websites to see if there are rooms that you like elements of. Finding your design style can be fun and ask your friends for referrals. 3. What's Cooking? The kitchen is one room that has become the center of homes in America. It is at the top of the list for renovations in 2014 for most people. Open kitchens are increasingly preferred and stainless steel remains the most widely requested finish for appliances. Finishes that are popular include marble and stone, and kitchen islands are a big seller and aid in the "opening" of the kitchen. Currently in The Berkley South, there are 9 residences for sale, which is twice the number of residences for sale last year at this time. 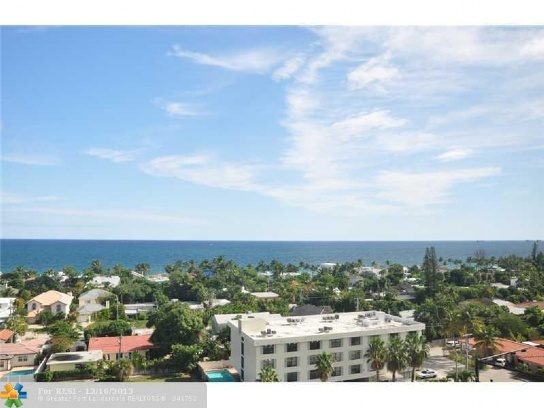 Property values continue to rise in this popular condominium and its’ amenities and location keep it a highly desirable property in Fort Lauderdale. Berkley South offers incredible water views of the Atlantic Ocean and the Intracoastal Waterway as well as a prime location on A1A just south of the Gale Ocean Mile. Its’ amenities include a heated freshwater pool, tennis court, two separate fitness rooms, clubroom with recently updated kitchen for entertaining, gorgeous lobby, covered parking and 24 hour security security. Berkley South features studio, one and two bedroom floor plans with a total of 199 residential units in the building. In August of this year, I sold residence 11G for $296,000, and I have just listed another highly sought after southeast corner 10G in The Berkley South Condominium. Residence 10G, offered at $299,000, has two bedrooms and two bathrooms and is situated on the south east corner, the most desirable location in the building. This prime location affords unobstructed direct ocean and Intracoastal views from living, dining, and kitchen areas. It has been freshly painted with new carpet and has hurricane impact glass on all openings. Whether you are looking for a pied a terre in Fort Lauderdale or an investment property, either is an excellent value. It’s all about the view! For more information on my listings and to obtain a to the minute market analysis of what your Berkley South condominium is worth, contact us today! Corinthian 22F is a PERFECT high end remodeled SUB-PENTHOUSE with an expansive direct ocean view and further views of the intracoastal waterway and Bonnet park enjoyed best through floor to ceiling wall to wall windows and sliders. This residence, featuring the highest quality upgrades imaginable, was listed at $549,000 and under contract in only 4 days.. 22F is a two bedroom, two bath condominium within 1,450 square feet of living space. This residence has been completely remodeled, and no cost was spared in design and function. As you leave your semi private foyer and proceed through the double door entrance into this residence, your eyes focus on the tray ceiling with special lighting encompassing an exquisite Marano light fixture. The open gourmet kitchen features custom wood cabinetry with exotic granite countertops and full backsplash, top of the line stainless steel appliances, and utility room with side by side stainless steel front loading washer dryer. The luxurious en suite master bath boasts granite topped custom wood vanities with dual sinks and matching framed mirrors, built in wall niche, expanded walk in shower with a hydro slide shower enclosure. Of special interest in the master bath is the unique tray ceiling framed on the inside with custom crown molding and unique lighting.. The guest bath is similarly appointed with a combination shower and tub. Additional features include a double tray ceiling in living area with built in soffits and recessed lighting, custom crown molding in every room, surround sound, 24 inch rectified diamond cut porcelain flooring, Hurter Douglas window treatments, custom designed walk in closets, solid wood doors and so much more. Truly as turnkey uncut fir the discerning buyer. The Corinthian on the Intracoastal is one of my most sought after condominiums in Fort Lauderdale. 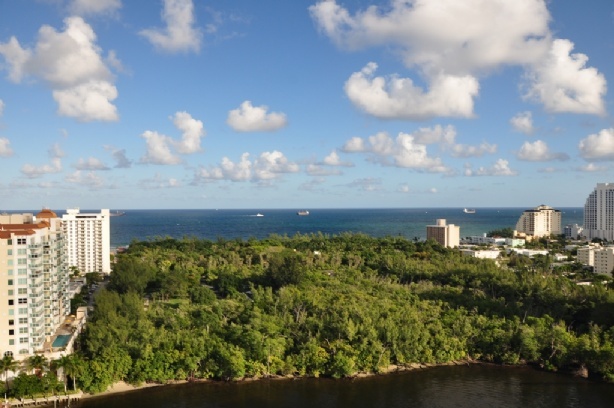 Residences have large square footage and enjoy fabulous views of the Atlantic Ocean and Intracoastal Waterway. Luxury amenities include its rooftop heated pool and clubhouse with full kitchen facilities for entertaining, 3 room fitness center, and designer remodeled lobby. It is one of the most financially sound buildings in Fort Lauderdale with excellent management on site, 24 hour security and parking attendants. It enjoys the BEST LOCATION close to incredible dining, shopping, water taxi and the beach – only 20 minutes to the Fort Lauderdale International Airport.. For more information on units for sale in the Corinthian, or if you are looking to sell, please contact me today. After only 4 days on the market, Corinthian 22F is under contract. This is not unusual for a correctly priced unit in The Corinthian, I highly recommend if you are considering selling, to contact me today for a comparative market analysis. What is For Rent in Fort Lauderdale? The rental market is very limited in the Fort Lauderdale beach and Intracoastal areas. Properties are renting quickly and at higher prices than just a year ago. I have rented three 2 bedroom, 2 bath condos in the last 2 weeks – all three were rented for the full asking price. 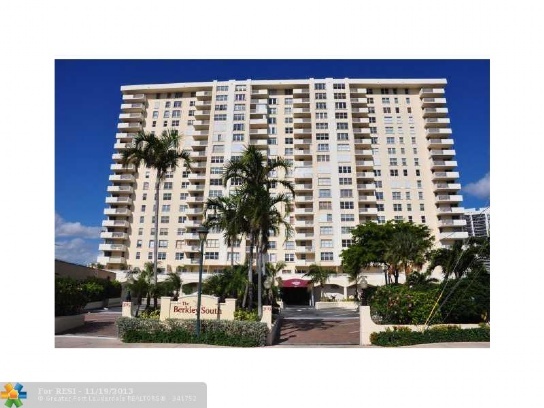 For those looking to rent before buying, I have one 2 bedroom 2 bath unfurnished annual rental available in the Berkley South Condominium located at 3015 N. Ocean Blvd. in Fort Lauderdale. The owner requires a current credit report with score, proof of income, and application with prior residence and employment history and character references prior to accepting an offer to rent. Berkley South 17A is a large corner unit with the best floor plan in the building. This two bed and two bath residence is unfurnished and offers spectacular views of the ocean, city, and intracoastal waterway. Hurricane impact glass has been installed on all openings. The living areas have laminate wood floors and there is carpet in each bedroom. The large eat-in kitchen has been updated with granite countertops and has a window above the kitchen sink. 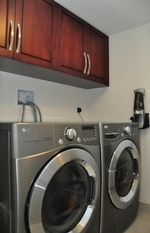 One of the most popular features in this particular corner unit is the massive closet space. There are three huge walk in closets in addition to the 2 closets in the guest bedroom. Berkley South is a popular condominium building nestled in between the Intracoastal Waterway and Atlantic Ocean with direct beach access. Amenities include a heated freshwater pool on a 40,000 sq. ft. deck, fitness facilities, tennis court and BBQ area. There is 24 hr. security and one covered parking space under the building. An additional covered parking space can be rented for $25/month. BEST LOCATION close to anything you would want or need. For more information on this rental, or if you are looking to purchase in Berkley South or another condominium in the beach area, please contact me today as inventory is shrinking daily.